The Second Annual Colour of Music Festival (COMF) October 22-26, 2014 showcases the breadth and influence of blacks on the classical music world past and present. The five-day festival features top black musicians, vocalists, and orchestra leaders from across the globe performing piano, organ, voice recitals, and chamber works performed in historic venues across the City of Charleston SC. 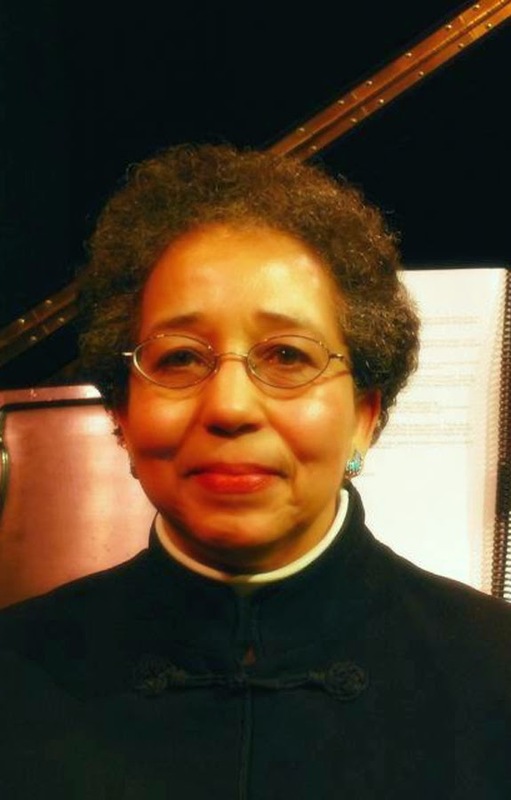 A key feature of the 2014 Festival is the performance of works by three noted living black female composers: Nigerian-American Nkeiru Okoye, Trinidadian Dominique Le Gendre, and New York-based, South Carolina native Joyce Solomon Moorman. Additional works by female black composers will feature Margaret Bond’s (1913-1972) I’ve Known Rivers and Florence Beatrice Smith Price’s (1887-1953) Night, Dances in the Canebrakes and Suite No. 1 for Organ. Additional highlights on black female composers’ influences will be front and center on Thursday, October 23 at 8:30am with a special talk presented by Dr. Louise Toppin of the University of North Carolina, Chapel Hill on black female composers’ contributions to classical music with acclaimed violinist and COMF Concertmaster Jessica McJunkins providing musical accompaniment. Ticket includes talk, panel discussion and vocal presentation featuring Ms. Toppin, then COMF Concertmaster Jessica McJunkins, violin, Edward Hardy, violin, Eugene Dyson, viola and Timothy Holley, cello performing Joyce Solomon Moorman’s Remembrances, 68 for String Quartet. An established voice in new music, her works have been performed by the Philadelphia Orchestra, Detroit Symphony, Virginia Symphony, Indianapolis Symphony, Grand Rapids Symphony, New Jersey Symphony and others. She has garnered numerous awards, commissions and commendations from MEET THE COMPOSER, the Virginia Symphony, MetLife Creative Connections, John Duffy Composer Institute, Composer’s Collaborative, Inc., the Walt Whitman Project, Yvar Mikhashov Trust for New Music and the American Society of Composers, Authors and Publishers (ASCAP). After penning her first composition at age 13 and winning first prize at a national competition, she pursued training as a composer. 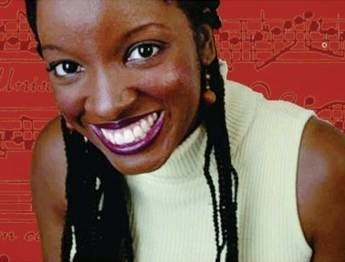 Okoye’s best known works include Brooklyn Cinderella (2011, commissioned by American Opera Projects), Songs of Harriet Tubman (2007, on the CD Heart on a Wall), Phillis Wheatley (2005 recorded by the Moscow Symphony), Voices Shouting Out (2002, commissioned by the Virginia Symphony); African Sketches (2007-08, published in the Oxford University Press Anthology of Piano Music of the African Diaspora); and The Genesis. She holds degrees from the Oberlin Conservatory of Music and Rutgers University and currently serves on the composition faculty at the State University of New York at New Paltz. A world premiere will be showcased at the 2014 Colour of Music Festival. Based in London, Trinidad-born composer Dominique Le Gendre has written music extensively for theatre, dance, film, television and radio drama for BBC Radio 3 and 4. She composed and produced music for all 38 Shakespeare plays recorded for audio, “The Complete Arkangel Shakespeare, “directed by Clive Brill. Her musical language has been described as luminous, glittering and distinctive, reflecting the rich multi-culture of her Caribbean upbringing. In 2004 she was invited to become an Associate Artist of the Royal Opera House, (ROH2) Covent Garden, who commissioned her full-length opera “Bird of Night," directed by Irina Brown and premiered in October 2006 at the ROH Linbury Theatre. Her chamber works have been commissioned and performed by The ROH chamber soloists, Philharmonia Orchestra, Manning Camerata, Lontano Orchestra, Tête-a-Tête Opera, Ibis Ensemble and British cellist Tony Woollard among others. She has been Associate Artist to the Manning Camerata led by ROH concertmaster, Peter Manning with whom she collaborated on the Dramma per Musica of Seamus Heaney’s “The Burial at Thebes,” directed by Derek Walcott and premiered in 2008 at Liverpool8 and Shakespeare's Globe Theatre in London. 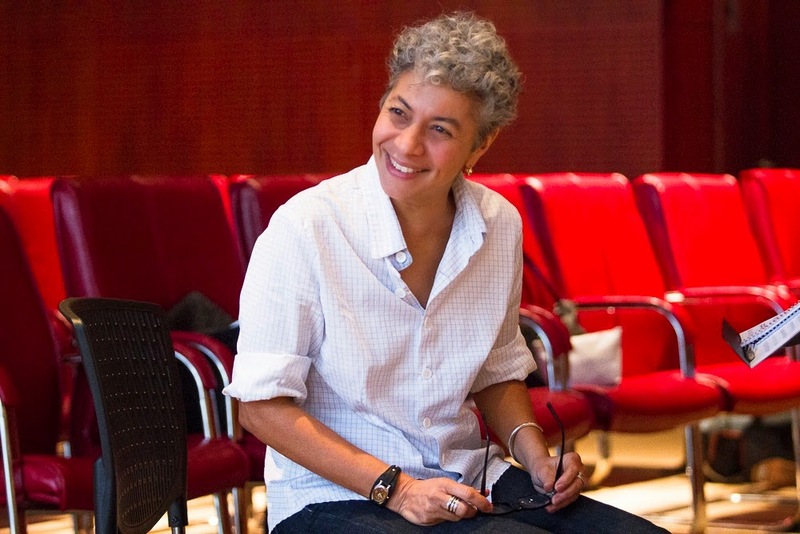 In 2012 she co-curated with Melanie Abrahams " London is the Place for Me” a two-week festival to celebrate Trinidad/Tobago's 50th Anniversary. In 2013 Dominique was commissioned by New York’s Ensemble du Monde to premiere a new string quartet "Le Génie Humain" at the Festival of Afro Caribbean Composers in the Bahamas which will also be performed at the Colour of Music Festival. Grew up in Columbia, South Carolina and earned B. A. degree from Vassar College, a M. A. T. from Rutgers University, an M. F. A. from Sarah Lawrence College, and Ed. D. degree from Columbia University. Recipient of the ASCAP Standards Panel Annual Award from 1990-2006. Her compositions have been performed by Lilan Parrot, Triad Chorale, Wilson Moorman, LonGar Ebony Ensemble, the Woodhill Chamber Ensemble, the Brooklyn Philharmonic Chamber Ensemble, After Dinner Opera Company, Sandra Billingslea, the Plymouth Chorus and Orchestra, the Cygnus Chamber Ensemble, the Moravian Philharmonic and the Philadelphia Classical Symphony. Ms. Moorman was a winner of the Vienna Modern Masters 1998 Millennium Commission Competition. Her opera, “Elegies for the Fallen,” received a special commendation from the Nancy Van de Vate International Opera Competition for women composers in 2004. In 1997 she was appointed by the Governor of New York to the Advisory Music Panel for the New York State Council on the Arts. Currently she is an Associate Professor in the Music and Art Department at Borough of Manhattan Community College. The full Colour of Music Festival schedule can be accessed from the COMF Brochure. Full schedule and tickets online: www.colourofmusic.org or by calling (866) 811-4111. Series packages with discounts up to 30% off are available. For all-inclusive packages for college professors and administrators and/or for groups of ten (10) or more use code: GR. $7.00 for schools/church youth groups. Tickets available at the door (credit card, cash or check) one hour before each performance.